It is a known fact that the average American is so deep in debt that even if they get out of unemployment, it will take them quite some time to recover completely. Thankfully, there are several options to help in achieving financial freedom. The government provided support systems that will help in debt relief. A lot of non profit credit counseling agencies are also available to provide expert advice on how you can take the steps to get rid of your credit woes. There are two different paths to debt freedom and they are oftentimes mistaken for each other. Debt consolidation refers to literally consolidating your multiple loans so you only pay for one creditor. There are several options to do that. You can take out a personal loan to cover your other debts. You can take a collateral loan that will endanger a valuable asset that you own. The bottom line is, you get a separate loan that will pay off the other loans. The goal is to save on the interest rates on all the debts. It will also help you concentrate on only one payment obligation. The chances of you missing out on a payment will be slim. Debt settlement, on the other hand, refers to negotiating your debt so you get a reprieve – at least for a certain percentage. The idea is to hire a debt relief expert to negotiate on your behalf. The procedure involves ceasing to pay the creditor. Instead, you pool in those funds in a separate FDIC insured account. When the creditor files a case against you for lack of payment, the debt relief expert will step in to negotiate for a debt settlement. The goal is to agree on a lower amount than your original balance. Once you have paid that agreed amount, the rest of the debt will be forgiven. Both have their pros and cons and you need to find out which one is the best option for you. While the debt settlement seems more appealing, you may not be qualified for it. Below are some indications to know whether you should opt for a debt consolidation or a debt settlement plan. Take note of the short and long term benefits when selecting the right debt relief plan. The ultimate goal is to get a plan that your budget can afford. Is Debt Consolidation the Right Option? To know if your situation is best resolved by debt consolidation, you need to find out the total amount of your unsecured debts first. You can ask for your credit report from on of the major credit bureaus or you can download a free copy from the Annual Credit Report website. You need an ideal credit score in order to get a good deal out of your consolidation loan. A bad credit score will not hinder you from getting a loan but any loan you get approved for will come with a high interest rate. If that is the case, it is better not to opt for a consolidation loan because that might get you further into debt. Check out debt consolidation companies and see what they have to offer you. If you have a collateral to put up, your chances of using this option may be better. A home equity is the most common path to consolidate your debts. That means putting your home on the line. You have to make sure you have a steady income – otherwise, you will only be endangering your assets. If you qualify, check if you will indeed save on your monthly payments. The debt consolidation company should be able to provide you with a computation of how much you will pay monthly. You may need to re-arrange and alter your spending habits to see if you can afford this new payment. If you can afford it, check if you are willing to pay longer for your new debt. In order to lower the monthly amount, you need to make the term longer. And since the loan payment is longer, the total interest rate may amount to more than the original one. 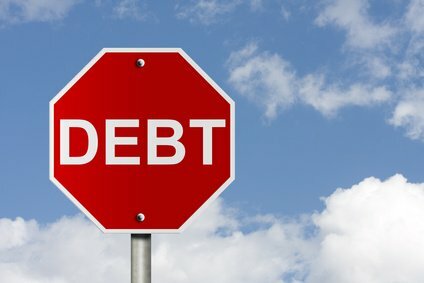 Is Debt Settlement the Right Option? If debt consolidation will not work for you, let us see if debt settlement will. With your credit score and credit report, you should have an idea of your total unsecured debt. There are debt settlement companies that will only work on a certain amount. For instance, some companies require a debt of more than $10,000. If your debt is lower than that, they may not be able to help you. Debt settlement means you need to pay a huge amount immediately. The idea is to have the creditor agree to a certain percentage of the original amount. Some of them want it to be paid in full while some will agree to an installment method. Check your expenses and see if you have money to spare. Be sure that you are able to meet this settlement payment – otherwise, you may find yourself facing court summons or worse, forced to declare bankruptcy. Regardless of what you choose, it is advisable that you get a credit counselor to help you. At the very least, they can provide you with expert advice on the right track to pursue with your debt relief efforts. Also, they will be able to help you create a budget plan that will help you through whatever new payment plan you will choose. If you go for a debt settlement plan, it is highly advised that you hire a debt settlement expert to help you negotiate with your creditors. They usually have working relationships with creditors already so your chances of getting to a favorable agreement may be more likely compared to negotiating yourself. In choosing a company to help you, approach more than one and compare their quotations and the plans that they have for your debt relief. Check for an accreditation with the AFCC or American Fair Credit Council or other industry watchdog. Stay away from companies asking for upfront fees. The initial consultation should be free. To start your search, get in touch with NationalDebtRelief.com. You can fill out the form on this page and we will have someone call you as soon as possible. Together, we can work on solving your debt problems.